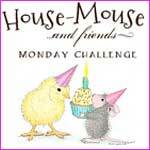 Hos Dorte: Favorite way to spend a day, a mid-way reminder for HM&FMC! Super cute card. Thanks for sharing with us at Sparkles Christmas Challenges. Lovely card. thanks for joining us at Creative Inspirations this fortnight. Lovely card. Thank you for joining the challenge at The Glory of Christmas. Congratulations in being in the top 3. Hope to see you again next time. A fab card. 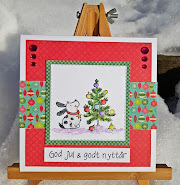 Thank you so much for sharing with us at Sparkles Christmas Challenges for our "Christmas Cuties" challenge. Brilliant card, I lvoe the Kraft and blue, a wonderful cuddly image. Thanks for playing along with us at Sparkles Christmas. Caz DT.